The demand for museum-quality art has grown dramatically worldwide and regional markets are being integrated into one powerful international art market. Exposure for many of Canada's most beloved artistic figures is at an all-time high, and in turn, interest from Canadian collectors has grown considerably for works by international artists. Heffel's live auction will offer major lots by treasured Canadian artists that have been collected abroad in their lifetime, as well as works by noteworthy artists from around the globe. The works have been consigned from all over the world and will be presented to an international audience this fall. Jean Paul Riopelle, Josef Albers and Jack Bush are among the internationally collected artists featured prominently in the upcoming sale, each with major works that will spark collector interest. Most markedly, Group of Seven founder Lawren Harris has amassed global attention thanks to a critically acclaimed international exhibition and record-shattering auction results for his works. Eight exceptional artworks by Harris will be on offer in Heffel's November sale, led by Mountains East of Maligne Lake, a powerful 1925 Rocky Mountains canvas from his most sought-after period. Remarkably still in its original frame, the painting is an incredible discovery, having been in a private international collection for more than 80 years. "The strength of the Canadian market has unearthed important works of art from collections around the world," said David Heffel, President of Heffel Fine Art Auction House. "Many of these masterpieces are making their auction debut here in Canada and we are proud to give them the attention they deserve." 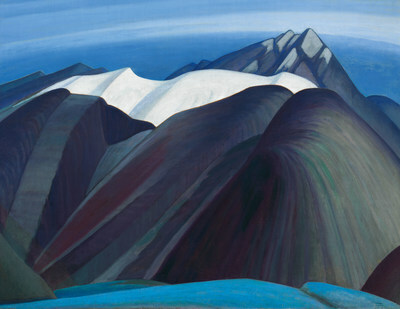 Lawren Harris shines once again with the magnificent Mountains East of Maligne Lake. The 1925 canvas has been exhibited extensively and returns to Canada after spending decades in a private collection abroad (est. $2,500,000 – 3,500,000). Also on offer is Study for Mountains East of Maligne Lake, the rare graphite drawing that set the groundwork for the commanding painting ($8,000 – 12,000). On the heels of Heffel's record-breaking sale in 2016 and with a newly opened exhibition in Quebec City, Jean Paul Riopelle's outstanding 1953 Composition leads the Post-War & Contemporary session and is sure to resonate with collectors internationally (est. $400,000 – 600,000). Works from Lawren Harris's transformative period of abstraction will hit the auction block, including Composition 10. An exceptional example from this period, the canvas is accompanied by a significant list of international exhibitions and literature inclusions (est. $300,000 – 400,000). Among the eight lots on offer by Lawren Harris are the spectacular Cathedral Mountain from Yoho Valley, Mountain Sketch LXXXVI and Morin Island, Eclipse Sound, North Baffin Island, Arctic Painting XXXVI, both painted while he was with the Group of Seven. 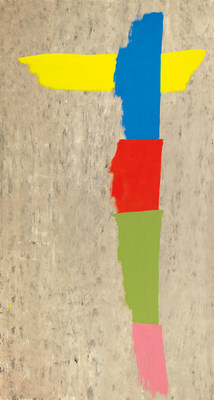 Works by Jack Bush are revered as some of the most outstanding examples of abstraction from the 1960s and 1970s. Three striking large-scale Bush canvases anchor the Contemporary Art offering this fall: Winged Totem, 3 on Purple and Still. A.J. Casson's Old Lumber Village stands out in the fall sale. The large-scale painting, geometric and spectacular, depicts an Ontario village and features an iconic church (est. $200,000 – 300,000). German-born American artist Josef Albers is featured with a small yet monumental work from his iconic Homage series, Study for Homage to the Square: New Garland (est. $80,000 – 100,000). Three works by Emily Carr span pivotal periods of her artistic career. A market rarity, Indian Encampment, Vancouver is an early work and a brilliant example of the artist's deep interest in Vancouver's indigenous population ($50,000 – 70,000). Distinguished artists from around the world, including M.F. Husain and Milton Avery, highlight the Post-War & Contemporary Art session. The fall auction showcases Canadian artistic excellence and the country's stunning landscapes from coast to coast. E.J. Hughes beautifully depicted an atmospheric British Columbia harbour with Crofton Wharf, David Milne's Stumps in the Swamp / Hillside Near Palgrave shows a colourful Ontario backdrop, and David Blackwood's Newfoundland childhood is reflected in Ephraim Kelloway's September Door '59. Heffel has sold more Canadian art than any other auctioneer worldwide, with sales totaling more than half a billion dollars since 1978. With offices in Toronto, Vancouver, Montreal, Ottawa and Calgary, Heffel has the most experienced team of fine art specialists in Canada and provides superior client service to both sellers and buyers internationally.